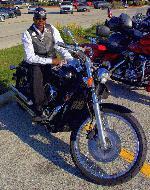 Freedom Ride, marseilles, il, Harley Davidson, Sportster, Big Boy, Lo Boy. Various bikes from the 2010 World of Wheels that was held in Rosemont, Illinois. Lighting wasn't the best, but the pictures are worth seeing. I was able to pick up a 1993 GSXR 750 from a friend for pretty cheap. I'll be getting it painted and all cleaned up to have at the shows. A good turnout and great people and weather. As always I will print a high resolution 8 and 1/2 by 11 for only $10.00. These are the pictures and videos (I'm not sure which I have more of) from the Tilted Kilt Bike show at Seven Bridges on September 19th 2009. The show started off rather slow but picked up steam to have around 100 bikes. I think the cooler temperatures kept the masses away. It was still a really fun day filled with Pretty ladies, Hot Bikes, Bean Bag games, and Great People. 115 Pictures 45 Videos. The weather and waitresses were amazing. We didn't have as great of turn out as I expected, but it was fun. If you see any pictures you would like high res, please email me and let me know which you are interested in. I went to several shows this week but many were primarily car shows with a few bikes. As always I will make a high resolution print of any pictures in my albums on premium photo paper for only $10.00 either 1, 8 &1/2 by 11 or 2, 5 by 7s or 3, 4 by 6s. the shows were Goodys,Promenade, Buona Beef, Home Run Inn, Rolling Meadows, Tilted Kilt, and Hooters. Good turnout for Downers Groves last cruise night of the season. the weather was great and so were the ladies. A good turnout tonight, I shot some bikes initaly then started shooting the many cars, it took so long that by the time I went back to get the late arriving bikes I had to use my flash. Having troble getting photos to upload. Pics from the Promenade Cruise Night of 08-05-09 featuring bikes. There were actually more cars than bikes, but it was still a good show. The Tilted Kilt bike show had an amazing turnout. So many great bikes and people in one place. If you would like a high res photo, please contact me at chadscapture@sbcglobal.net. Car and Bike show at Heritage Harley Davidson in Lisle, IL. I think this was their first show on Tuesday nights. Show was on 8/18/2009. I was very late getting to the show and only was able to take a few pictures of the bikes. 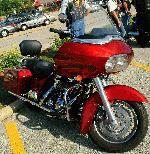 Here are my pictures and videos from the 2nd Monthly Tilted Kilt Bike show in Woodridge Illinois. The turnout was incredible with more than 250 bikes! The bikes kept coming in waves and the resturant could barely keep up. Between myself, and two of the other photographers we'll be putting up nearly 1500 pictures not to mention the other cameras which kept clicking throughout the morning. Miss the show? See what you missed! If you don't like my pictures, check out Norms or Chads pictures. They have much better cameras and 5 times more pictures! There was a good turnout of bike last night in Westchester. Westchester 7-6-09 This is an every Monday night showat 31st and Wolf road in Westchester iL. Stopped for a sandwhich after the Mecum Auction last night. The girls where more than happy to shown their support for the BOASTY program. This is aprogram where boat owners can sign up to take returning vets out on their boats as a way to thank them for their service.